I’ve fallen out of the blogging beat lately. As I mentioned in my last post, long hours at the office have left me feeling drained. And uninspired. I kept trying to come up with a spectacular dish or dessert to share, but I was too tired to even think of anything. It eventually dawned on me that at times like this what I need to do is focus on simplicity. And so I made myself this simple citrus salad. It’s perfect because 1) it’s really, really easy to make 2) it’s delicious and 3) the vitamin C will give me the boost I need to tackle more complex projects, like a sandwich. Mix the orange juice and honey together. 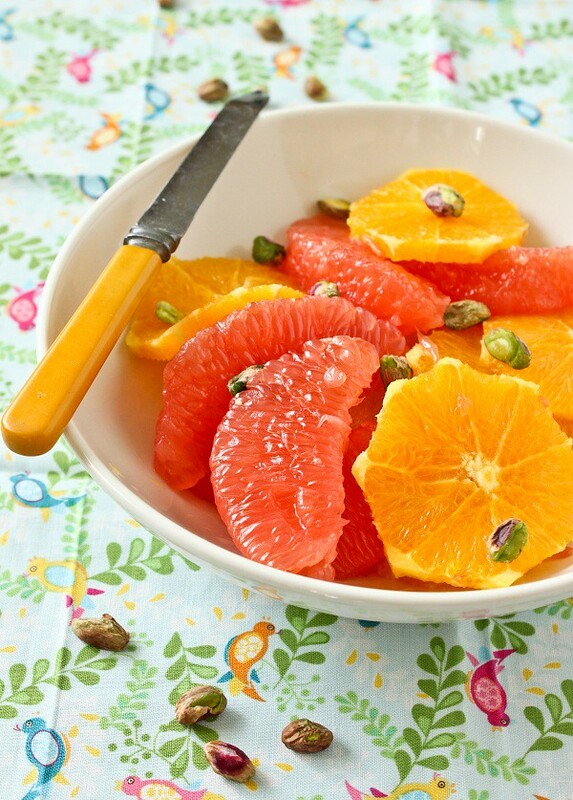 Toss the orange slices and grapefruit segments with the pistachios and dress with the honey mixture. 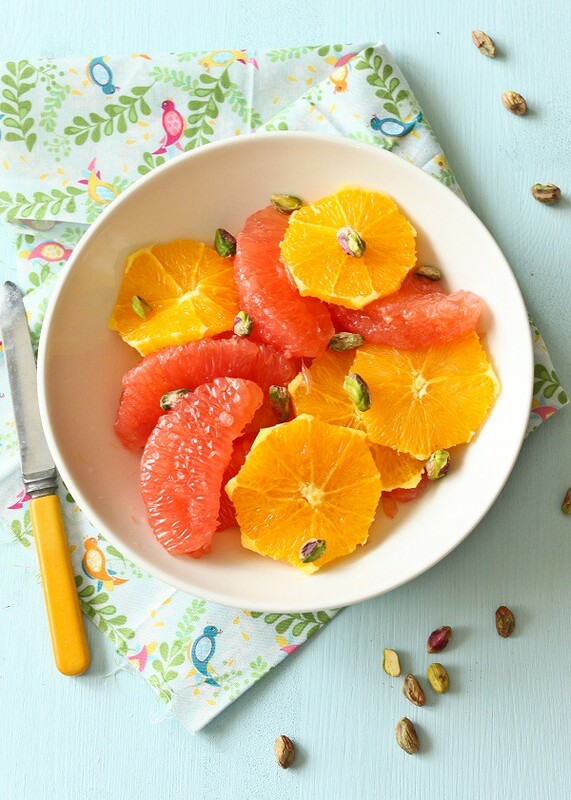 Grapefruit is so underrated, and you’re right, the citrus fruits are a good boost of health! I should have breakfasts like this more often! A nice light healthy salad, just how I like them! Sometimes simplicity is best! Such a beautiful and refreshing salad! Beautiful photos! I love how simple and elegant this dish is. Lol to #3. That is so cute! It looks so happy, too. Just the kind of thing I needed to see. My job’s been wearing me down, also.